The magic is in the details at Disney World. That’s how they get us to leave the Real World behind so easily — the details fully immerse us in the parks, the lands, and the stories. 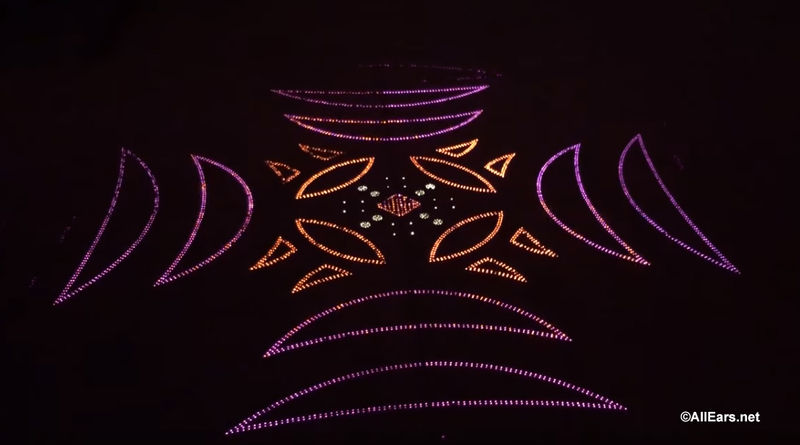 Let’s take a look at eight things you’ll miss if you don’t look down in Disney World! Footprints, Footprints, and More Footprints! We have four different sets of footprints for you to look for in Disney World! First up is Andy’s giant footprint in Toy Story Land. The presence of this giant tennis shoe print reminds us that we have “shrunk” to the size of a toy and are playing in this land Andy built with his toys. Did you ever wonder how Gertie, the giant, green dino got to Hollywood Studios’ Echo Lake? If you look down you’ll find out she walked there! There are giant Gertie footprints and cracked cement around Echo Lake indicating the path Gertie took before settling in and opening up her Ice Cream of Extinction Stand. 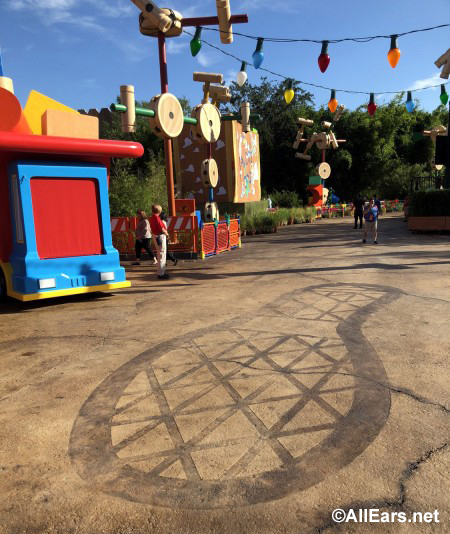 Besides being the most photogenic restrooms ever, the “Tangled Restrooms” between Magic Kingdom‘s Fantasyland and Liberty Square are also home to some footprints. 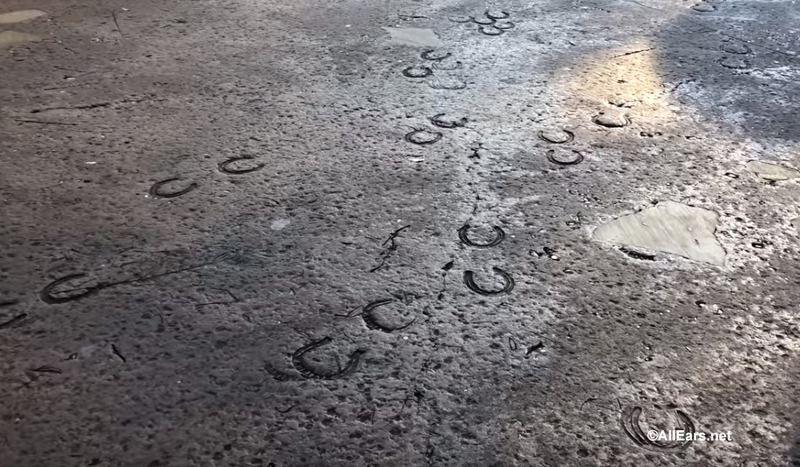 There you’ll find Flynn Rider’s frenemy’s hoofmarks embedded in the cement. As you enter the queue for Pandora‘s Na’vi River Journey you will see some Na’vi footprints in the ground. 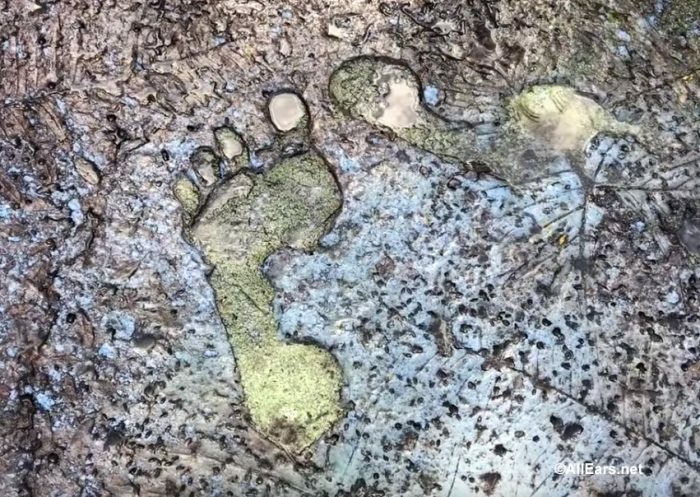 A fun activity is to compare your foot size with the Na’vi foot size, and see if your kids can find one major difference between a Na’vi footprint and human footprint (hint: count the toes). OK, we’ll try to talk about this as delicately as possible. The time period for Liberty Square is the colonial times, before indoor plumbing had been developed. So, rather than flushing or putting things down the drain, they tossed it out into the street. Hence… the brown river. 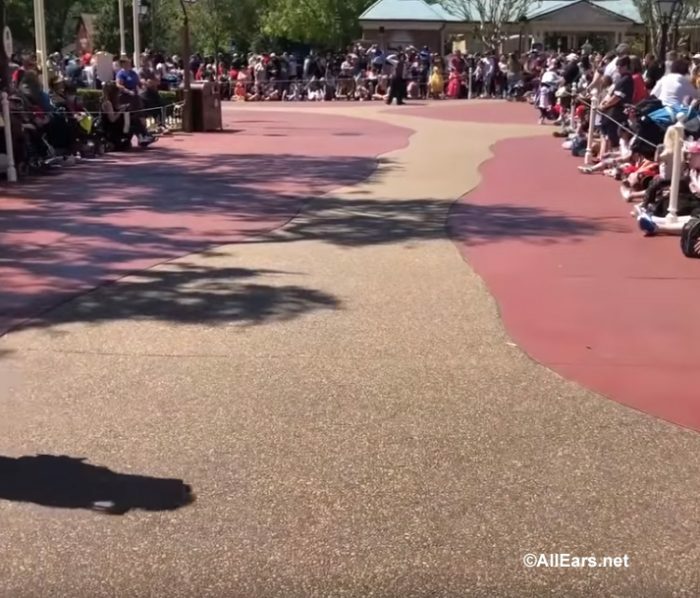 In fact, to be as historically accurate as possible there are no restrooms in Liberty Square at all. Even the restrooms in the restaurants of Liberty Square are technically outside of the boundaries of Liberty Square and in the neighboring lands (with indoor plumbing). 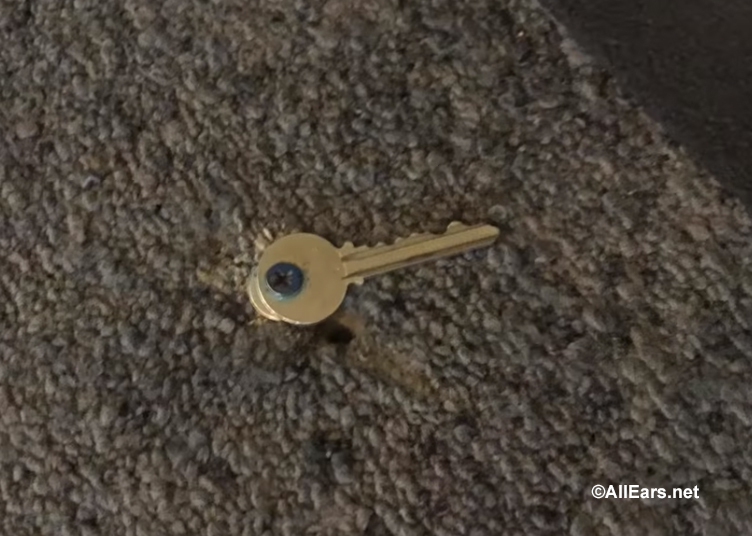 The Muppets’ Key is Under the Mat — it Really is! You have to look up and down for this one. As you enter Hollywood Studios‘ Muppet*Vision 3D take a moment to read the “Back in 5 minutes” sign — it says the key is under the mat. There is a mat there… go ahead, either you or your kid can lift that up! We bet you’ll find a key! Muppet*Vision 3D The Key is Under the Mat! After all of her weddings, the bride in the attic of the Haunted Mansion in Magic Kingdom had to do something with all of those wedding rings. You’ll find one of them on the ground in the queue for this attraction. 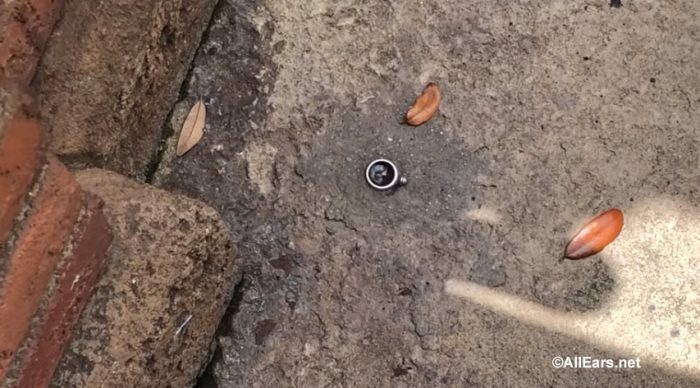 Be sure to look down in the area where the standby line meets up with the FastPass+ line to find this detail. 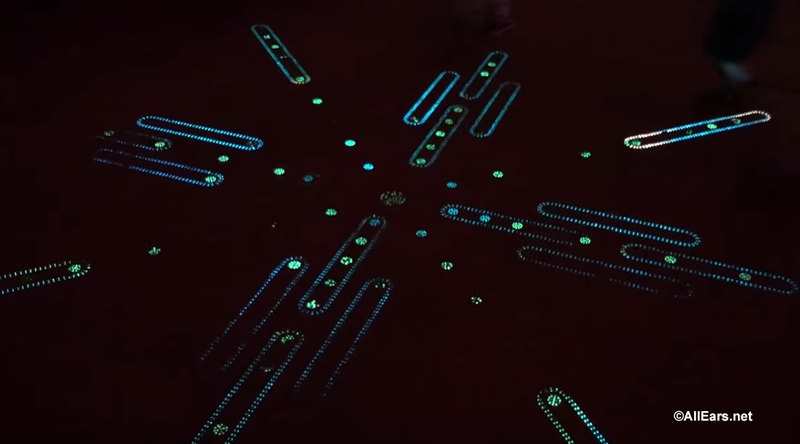 Those Sidewalks and Pathways are Glowing! 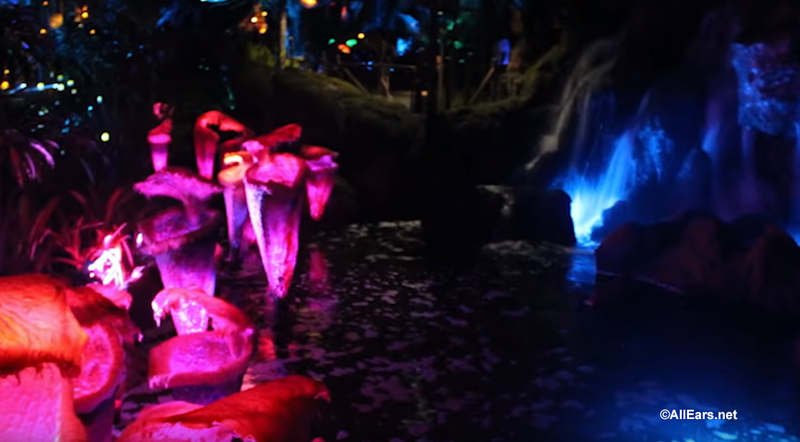 There are two places you can find glowing pathways in Disney. The first one is in Pandora. By day the sidewalks (and whole land) look ordinary — as ordinary as a land can look with a floating mountain. But at night the entire land — and its pathways — glow! You have to stay in Animal Kingdom after the sun sets to see this! It is commonly known that the sidewalks around Epcot‘s Spaceship Earth light up at night with fiber optics, but what is less known is the area that is a work of art at night. When you are leaving the park veer to the left and walk between some planters and you’ll find these very artistic fiber optic sidewalks! 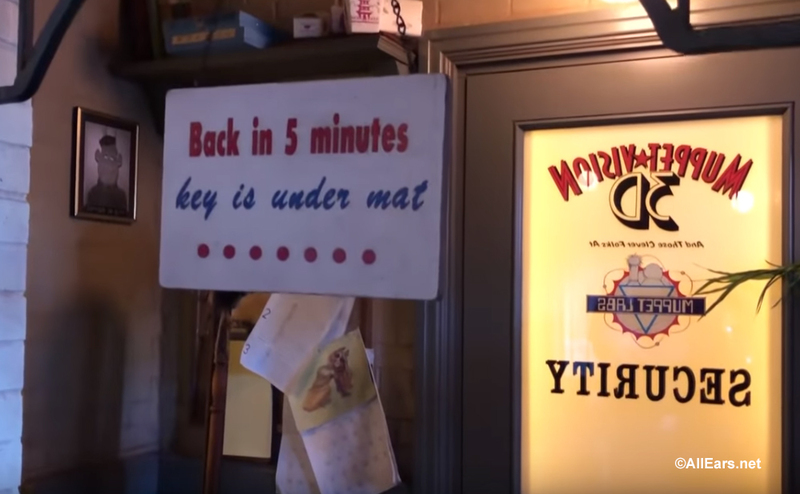 What are some of your favorite “hidden-in-plain-sight” details in Disney? Let us know in the comments below!